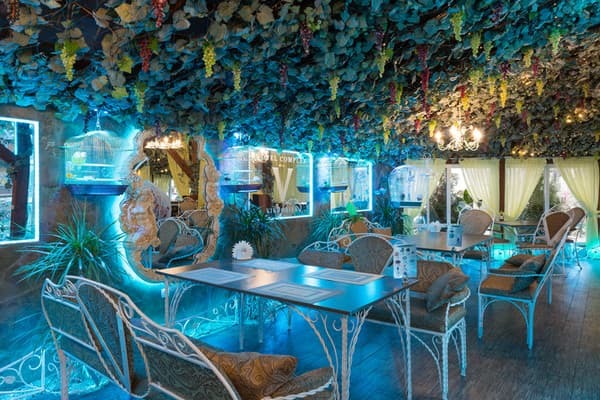 Hotel-restaurant complex "Victoria" is located in Svyatoshinsky district of Kiev, 20 minutes drive from the historic center of the city. 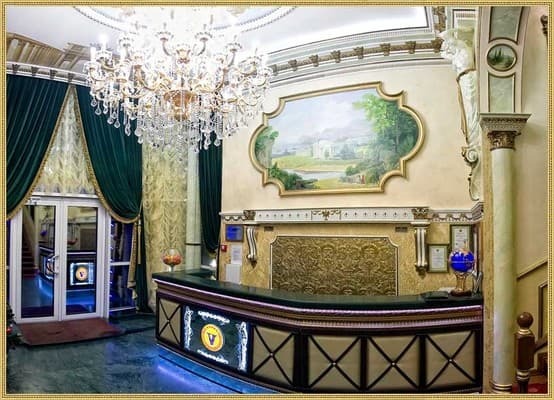 The hotel rooms are equipped with air conditioning, free Wi-Fi, private bathrooms and roomy furniture. 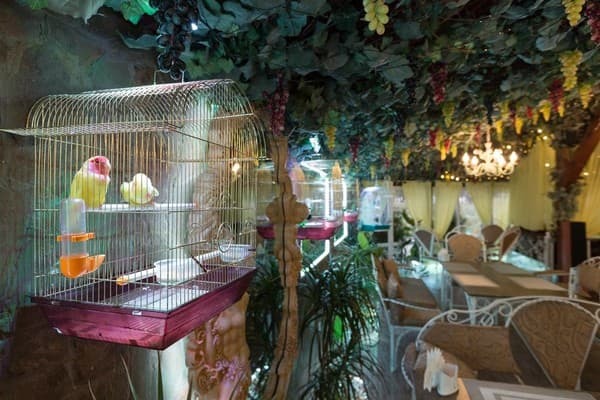 There is a restaurant, a karaoke bar, a lounge bar, a hookah bar, as well as a laundry and beauty salon for those guests who want to be always in shape. Rooms for smokers are available. For an extra charge, accommodation with pets is possible. The nearest metro station "Svyatoshin" is 2.5 km from the hotel. To the metro station "Khreshchatyk" in the city center 11.2 km, and the distance to the central railway station is 8.7 km. Description of the room: One-room, is equipped for comfortable accommodation of 1 or 2 people. The room provides daily cleaning, and bed linen is changed every 3 days. Bathrobe is available at an additional cost (50 UAH). 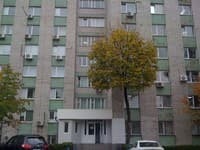 When settling in rooms and visiting saunas, a deposit of 500 UAH is collected, which will be returned upon eviction and departure from the sauna, in the absence of damage to property. Description of the room: Spacious, comfortable rooms, equipped to accommodate 2 people. 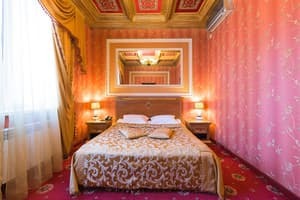 For a surcharge, the room can accommodate 2 more people. It provides daily cleaning and linen change 1 time in 3 days. Bathrobe for extra charge (50 USD.). 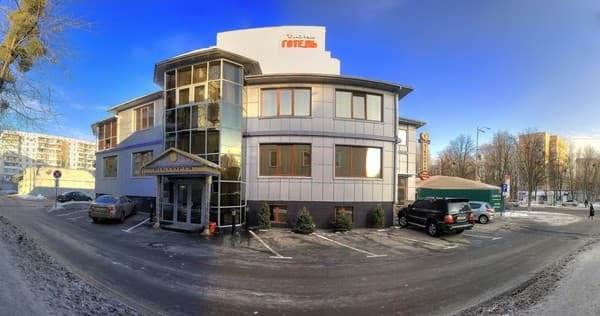 When you check in the room and use of the sauna is charged security deposit in the amount of UAH 500, which will be returned on departure and the exit of the sauna, in the absence of damage to property. Description of the room: Spacious, elegant room. For a surcharge, the possibility of placing up to 4 people. It provides daily cleaning and linen change is carried out 1 time in 2 days. A bathrobe is available for an additional fee (50 USD). 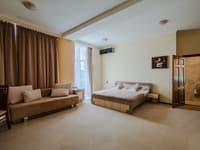 When you check in the room and use of the sauna is charged security deposit in the amount of UAH 500, which will be returned on departure and the exit of the sauna, in the absence of damage to property. Children under 7 years old stay free of charge. It is possible to provide additional seats. The service is chargeable, requires prior approval upon booking. The complex has a restaurant and a karaoke bar. You can order food in your room. 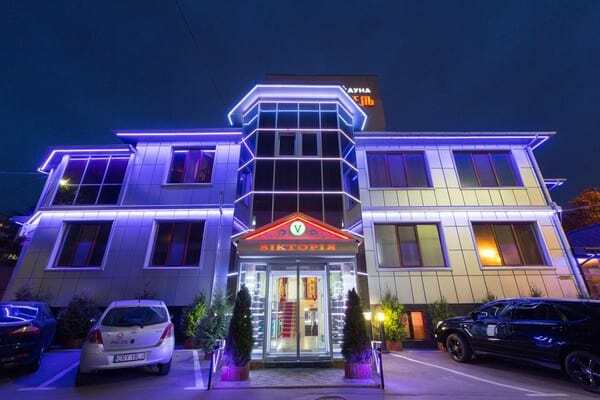 Hotel and restaurant complex "Victoria" is located in Svyatoshinsky district of Kiev, 20 minutes drive from the historic center of the city. 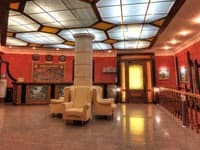 The nearest metro station "Svyatoshin" is 2.5 km from the hotel. To the metro station "Khreshchatyk" in the city center 11.2 km, and the distance to the central railway station is 8.7 km. 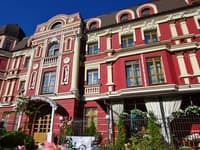 Hotel "Victoria" is located in the capital of Ukraine Kiev in Svyatoshinsky district.